The SE-360 is an end fed vertical fibreglass antenna capable of allowing the user to work 80 meters through 10 meters using an ATU, also not requiring any counterpoise. The antenna can be pole mounted at ground level or elevated depending on users requirements. The antenna is rated at 300 watts side band. 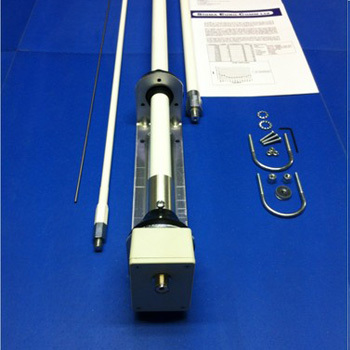 The antenna comes complete with fixings and full installation guide. The antenna has 4 sections, 3 high grade fibre glass sections and one stainless steel whip.